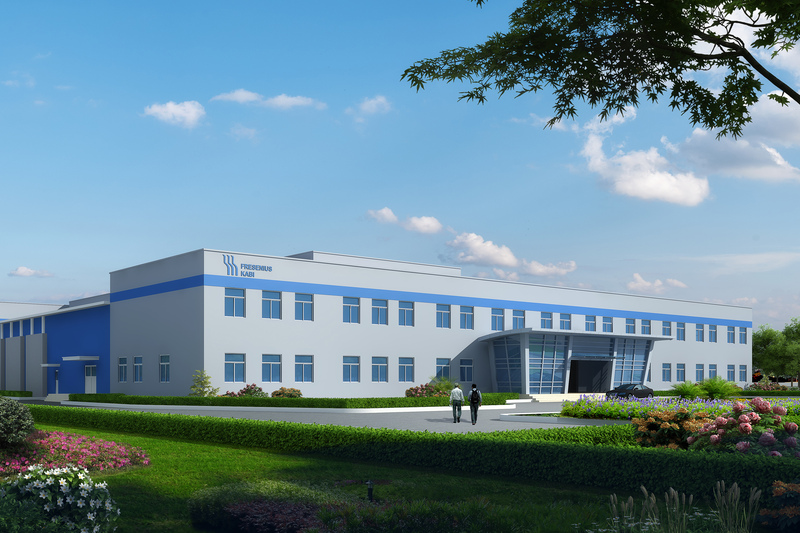 Fresenius Kabi (Guangzhou) Co., Ltd. is located in the free trade zone of Guangzhou, the capital of Guangdong province of China and one of China’s three largest cities, in the Perl River Delta. The plant is close to the major sea- and airports such as Guangzhou, Shenzhen and Hong Kong. It was founded in 1995 as a state-owned company. The current facility was built in 2002 and was acquired by Fresenius Kabi in 2008, becoming a significant part of its global network. In addition to producing goods for the national market, it also exports goods to approximately 40 countries. The plant employs about 500 people, covering an area of more than 15,000 square meters and has its own quality, purchasing, supply chain and logistic departments, as well as an onsite warehouse and a clean room of C class of 2147 square meters. Running 24 hours 7 days a week, the plant produces blood bag systems and blood bag components, offering a comprehensive product portfolio corresponding to the highest quality and safety standards. The plant is remarkable for its high vertical integration from injection molding, tube extrusion, component assembling (semiautomated and automated) and finished product manufacturing. To its further key competences belong pharmaceutical solutions, packaging and steam sterilization. Having its own physical, chemical and biological labs, the plant fulfills all blood bag production relevant tests. A high degree of automation of the processes leads to cost improvement and high standards of quality. The production site has an extensive experience of adapting manufacturing process to meet our clients’ exact requirements and is capable to provide customized solutions and meet individual tailored requirements of any market. The plant is GMP (Pharmaceutical and Medical Devices) certified by CFDA. It also holds the ISO 9001, ISO 13485 and CE certificates of TÜV SÜD.